Someone recently said they’d had enough beer, or so we were told. All we heard was “beer.” And starting in 2016 we’re going to have even more of it in this town. 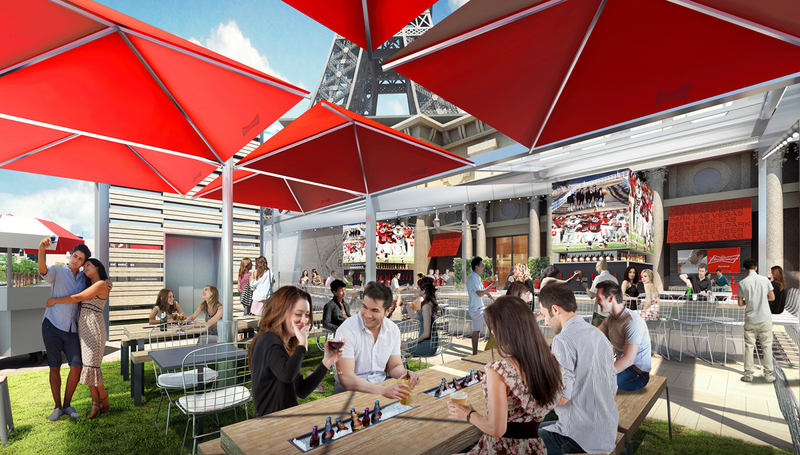 On the deck above Hexx at Paris Las Vegas, Budweiser and Paris are building a new Beer Park, and we’re just over here tingling with excitement. The space was previously the Terrace as part of Chateau Nightclub. But soon it shall be a wondrous land of outdoor grilling, picnic tables and more than 100 beer selections. They’ll also have a food menu complete with beer pairings. It’s always fun to try to figure out what models are thinking in renderings. Check out those two at the bar. Lolz. Photo courtesy of Beer Park. “Beer Park is inspired by some of the great American pastimes that bring people together; things like going to the ball park for a baseball game, a tailgate party or a picnic at a neighborhood park,” says Matthew Silverman, corporate executive chef of Beer Park. We usually prefer things like playing blackjack, seeing a show or strolling down Fremont Street, but as long as there’s beer involved we’re good. And there will be plenty of the good stuff at Beer Park. 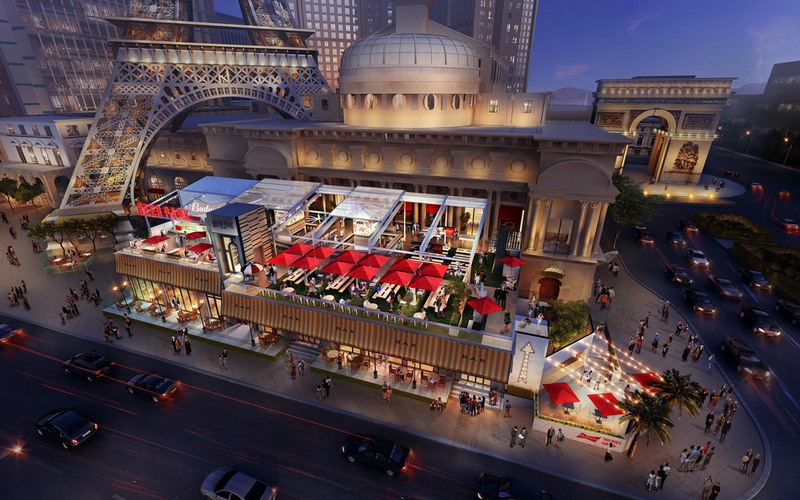 This will be the place to watch the game, hang out with friends and catch a nice view of the Las Vegas Strip and Bellagio Fountains across the street. With special taps that pour out ice cold beer, cold plates to keep your beer at that optimal temp and VIP areas and climate control so your everything stays just as cool as you want it, Beer Park will pretty much be beer heaven. No word yet on whether they’ll have Harps. Midnight in the Beer Park shall be our time to shine. That made so little sense. We either need more or less beer, and we’re going with more. Photo courtesy of Beer Park.